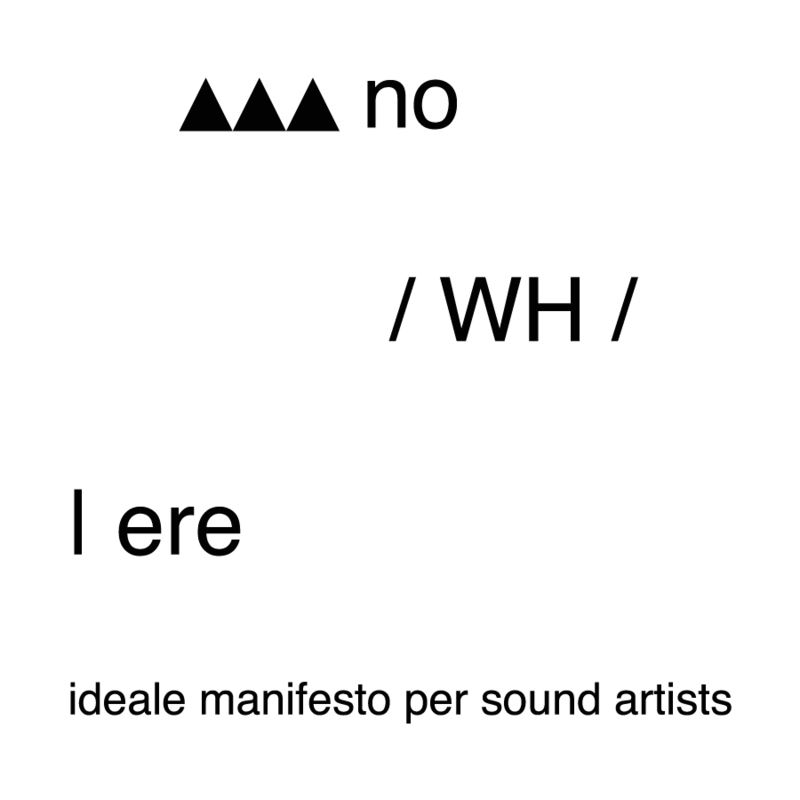 In December of 2012, the Italian sound artist Enrico Coniglio published noWHere – ideale manifesto per sound artists, an old-fashioned manifesto articulating a set of core values about how we as artists should approach “live electronics.” Below you’ll find my translation of this manifesto into English. The Manifesto will be presented at this page free of comment. The next installment of Sound Propositions (read here) will feature a discussion with Lemures, comprised of Enrico Coniglio & Giovanni Lami, a duo which came together in part as a manifestation of this manifesto. We discuss their creative process and the concept behind the manifesto, and I reflect upon the history and implications of “live” music. We gladly welcome spirited discussion below in the comments as well as suggestions of how to improve the translation, here. noWHere is a manifesto of principles designed for sound artists working in electronic, electroacoustic, and ambient music. noWHere has the expressed goal of recovering the original meaning of the term live electronics as a practice of manipulating sounds -not only electroacoustic sources- in real time. noWHere has no strictly utilitarian purpose, but considers, however, the possible therapeutic effect resulting from a free association (in the Freudian sense) of sounds. a practical discipline on the one hand, an ethical reference other. much ambiguity. Many sound artists hide behind a set of technological devices by staging a “prefab show,” with the consequence of increasing the gap with the audience / listener. What noWHere considers live electronics is instead a practice of composition, production / reproduction, manipulation and diffusion of sound in real time, such as different steps that coexist in the same time continuum. space, but merges them in preserving the natural reverberation and sounds peculiar to it.